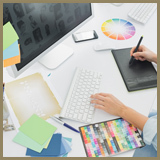 Our designers are experienced and creative, specialising in designing different types of covers and inner pages for annual reports. We are good at making use of paper textures and colours to highlight design ideas. We offer accurate, reliable professional translation, copywriting, editing and proofreading services for financial reports, legal documents and corporate materials. 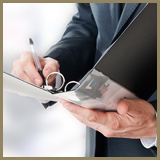 Financial documents will be handled properly so as to meet the target on time. Then all the documents can enter the bulk-printing process smoothly. 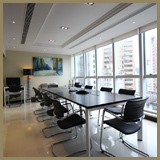 Two conference rooms of different sizes, with comprehensive facilities and a comfortable environment, are available. Our customers can have meetings with professional parties such as accountants, lawyers and auditors, and proofread the final documents carefully in the final process of bulk-printing. We have long term partnership with renowned printers. 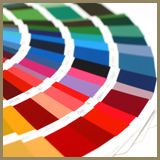 Different types of paper samples will be provided for client's selection. Efficient printing and delivery services help clients complete projects hassle-free.